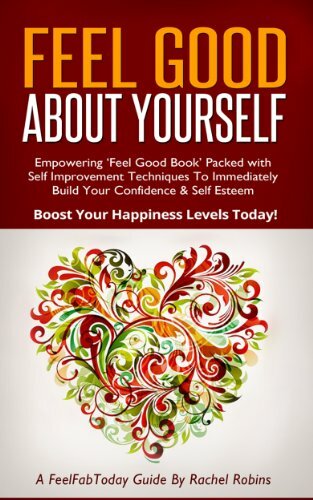 Feel Good About Yourself – Quickly Build Your Self Confidence, Improve Self Esteem & Boost Your Happiness Levels Today! Are you trying to discover how to feel good about yourself, stay positive and feel amazing? Ever wonder what confident, happy, outgoing people have in common? Well, this book will help guide you through some of the best, easy to use, step by step methods on how to feel great, boost your mood and achieve daily positivity. When it comes to feeling good about yourself you need tried and tested methods that actually work. This book demonstrates how to use powerful techniques to build self confidence and improve self esteem. The aim of this book is to help you to stop treading water and take meaningful action. When you start to do the right things, and practice them daily, youâ€™ll start to see amazing results. Whether youâ€™re just beginning your journey or youâ€™ve already explored these subjects before, youâ€™ll discover easy and effective â€˜feel goodâ€™ techniques, inspiring tips, fresh ideas and how to use them to great effect. Each chapter also contains a sprinkling of inspirational and motivational quotes to increase the â€˜feel goodâ€™ factor. Understand how youâ€™re currently perceived by yourself and others, discover how to overcome negative self-beliefs and how to use positive, practical steps to feel good about yourself permanently. Overcome hurdles that have previously prevented you from building self confidence and tackling low self esteem.